A little piece of my heart was gone for four hours and she rocked every minute of it! She has been so excited to start kindergarten she even told me she was most excited for me to drop her off. She loves her teacher, we met her during kindergarten orientation where we got to see her classroom. Signed up to bring play dough and spent the weekend not thinking about sending her off into the big world with all new possibilities. 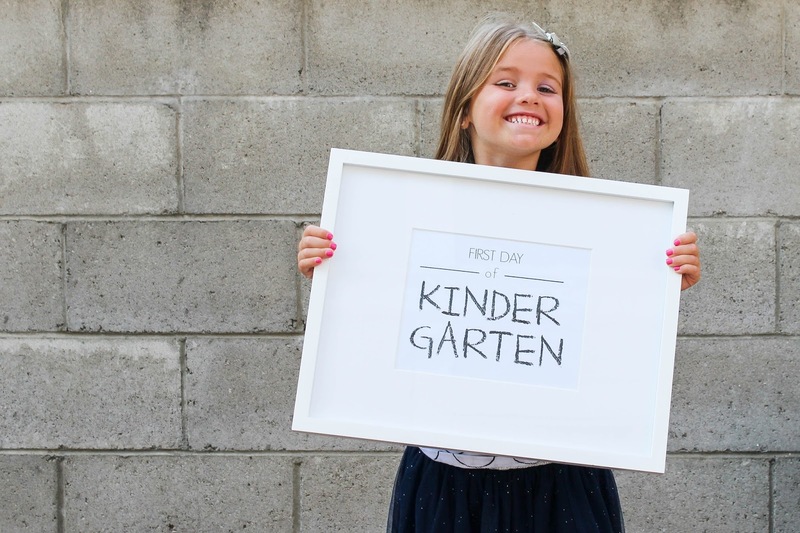 Monday morning came so fast and we left summer behind and officially have a kindergartner! Adie cried in the car because she didn't want to go and my heart was breaking and Aden kept saying, "Mama, Adie sad!" She finally calmed down and we walked her to her class and waited for her teacher. She hung her backpack up, got in line and that's when I just about bawled. She was so brave and I couldn't have been more proud of her. After we got home from dropping her off at school which is walking distance (just love that) I uploaded her first day pictures and just sat at the computer crying! Cannot wait for cooler weather so we can actually walk and pick her up, with ice cream cones. Eric reminded me its just like pre-school and she'll be ok, but I can't protect her when she's there and I'm anywhere else. She's going to experience new things, I just hope she knows how brave + smart she truly is. I went and got a manicure (which I totally could get used to) + picked out a jumper for pictures at the beach. Made it back just in time to pick up my girl. She was so stinking cute walking out in her kindergarten hat and a huge smile on her face! I almost cried again ... she did it!!! She met a new friend, loves her teacher and thinks kindergarten is so much cooler than pre-school. Her teacher tells me she is so sweet, takes a great picture and loves to dance! Right there I knew this was going to be the best year! She's in for something kind of awesome! My wish for her is to always be brave, include everyone and always stand strong ... in every situation. That she will continue to laugh because it is so contagious. That she will never be afraid to speak up and to always choose what is right. To know that she is so loved because Aden for four hours asking where Adie is and when I tell him she's at kindergarten he says. "oh ya!" 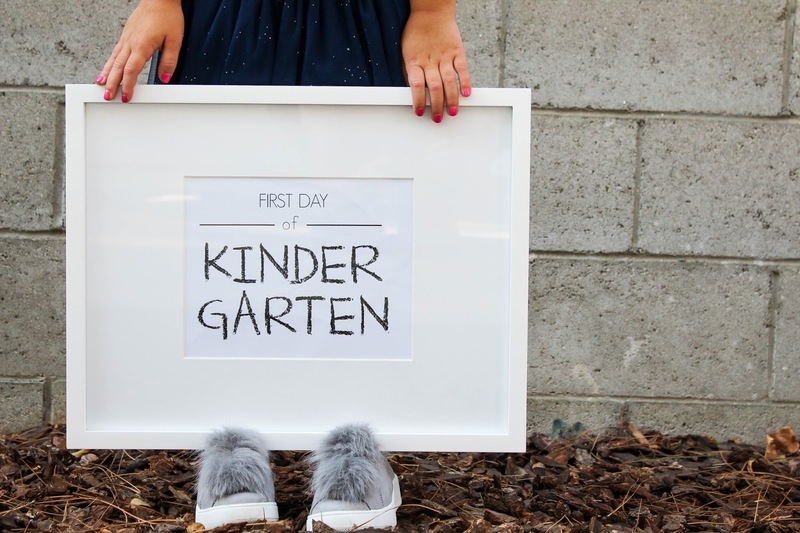 :) Cheers to the kindergarten milestone and making memories this year.